You have to feel respected in order to be respectful. 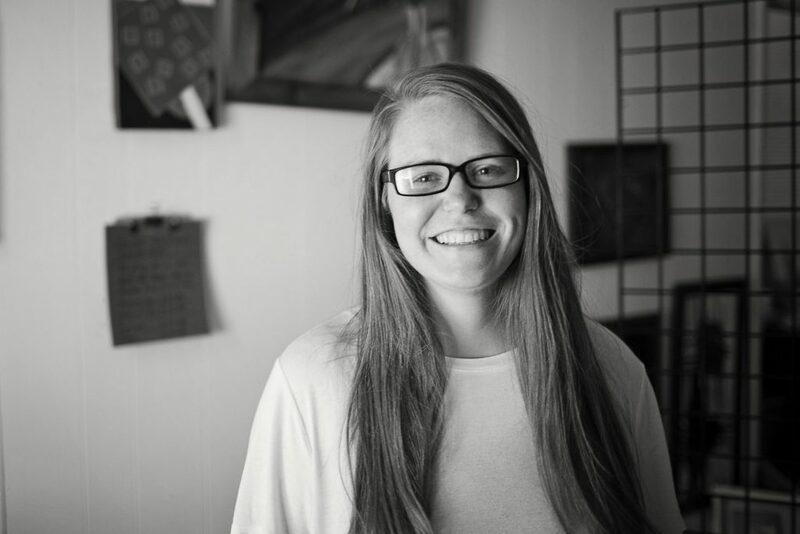 This conversation, as part four in our weekly Nashville Quilt Project round-up, discusses the limitations of homelessness with Poverty & The Arts Executive Director and founder Nicole Brandt. The silver lining is that her organization provides a space where participants can become both artists and entrepreneurs. The Nashville Quilt Project is a 50-foot mural located on Charlotte Pike for which founders Jake and Hana Elliott, photographer Elizabeth Ratliff, and I partnered with Brandt to highlight her exceptional arts programming post-national budget cuts. She launched her social enterprise program in 2014 to help homeless artists create, market, and sell their artwork. By offering supplies, studio space, training, and exhibitions, Poverty & The Arts empowers the homeless community. As Brandt explains to Jake below, environment and behavior go hand-in-hand. Her aim is to help the homeless community achieve a source of stability, and connect in a creative context rather than on the street corner. Can I start off by asking who you are and how you got here? NB: Of course. I am from a small Kentucky town and grew up in a very conservative environment. Most of the narratives that I heard about the homeless community falsely pegged them as lazy drug addicts. It was an ‘us’ vs. ‘them’ ideology. How did your mindset change so dramatically that you started a nonprofit centered around the homeless community? NB: My senior year of high school, I connected with a friend who visited homeless tents and camps. Sometimes he would bring food and coffee but mostly, his purpose was to spend time with them. After spending almost every week with them for a semester, I began to see how resourceful and creative many of the members were. Give us an example of this ingenuity. NB: Due to physical disability, mental illness or trauma, homeless people struggle to fit into normal society. This oftentimes led them to create their own systems and governments, which are pretty amazing. The more I built relationships with members of their community, the more I realized that what I had heard throughout my childhood was wrong. NB: I moved here in 2010 to attend Belmont University. There, I signed up for a work-study job, which required me to plan community service projects for my fellow students. I knew that I wanted to create a similar space to the one in which I first understood the homeless culture. Around the same time, I began visiting Church Street Park, directly across from the downtown library, where a lot of homeless people hang out. Throughout my chats, I discovered that they all loved Room in the Inn. It was a shelter that made them feel valued and respected. I reached out to the organization and pitched what became the first Poverty & the Arts event. It revolved around visual art, music, and creative writing and was a collaboration between Belmont University and Room in the Inn. What was the feedback from both Room in the Inn and Belmont? How did Poverty & the Arts transition from a one-off to a full-blown organization? NB: The day I realized how many talented visual artists there were in the homeless community. I also was the recipient of a lot of questions like, “How can I sell my art on the street without a cop arresting me?” Those inquiries led to the founding of our artist collective program in 2014. We started with two artists and have since, facilitated opportunities for about 25. What did your group think of the Nashville Quilt Project? NB: They were all incredibly excited—especially to pull bits of inspiration from one another. It was cool to see them collaborating with each other on ideas as well as encouraging one another’s progress. That time in the studio really lightened their spirits. While your space has a laid-back atmosphere, what are some of Poverty & the Art’s parameters? NB: Our goal is to create an environment where artists can thrive. We foster a community filled with respect and security—as opposed to the survival mode our clients experience on the streets. We do have strict policies in terms of drug use and harassment however, are fortunate to work with a group of individuals who are committed to the collective and don’t want to risk losing this unique opportunity. What are some of your short and long-term goals for Poverty & the Arts? NB: Our long-term goals are to expand our services and increase the number of artists that we serve. In addition to purchasing our own studio and gallery in the next five years, we hope to be able to provide transitional housing for our artists in the next ten. They will have a greater possibility of succeeding if we can offer them a space to live, breathe, and be. We also hope to increase our revenue streams and consequently, our artists’ income through retail, corporate art, and grants. Cite a major revelation you’ve had while working with the homeless community. NB: Sometimes you have to go through really crummy stages in order to get to the next step in life. I’ve heard amazing stories about how the communities at different shelters, and that source of connection, have helped people transition out of homelessness. That level of encouragement can drive you to do more with your life. Why do you think most people become homeless? NB: People become homeless because they lack a security net and support network. They don’t have anyone to help them through a medical debt, car wreck, or disease, and have to completely start over. It’s why we try to build good relationships with housing navigators, social workers, physicians, and those in the mental health industry. One of our clients, who had arthritis in both knees, had surgery which was funded through grant money. While she had to recover on the streets initially, she eventually moved into housing where she could get well comfortably. When people say to you, “Why don’t these homeless people just all go get jobs?” what do you answer back? NB: Many individuals experiencing homelessness struggle with maintaining traditional 40-hour work weeks due to criminal history, physical disabilities, and mental illness. By offering our artists the ability to earn supplemental income through their creative skills, they have greater autonomy in their day-to-day lives. This gives them control over their lives. How does Poverty & The Arts help the homeless community believe in themselves? NB: One thing we embrace here is the link between being an artist and entrepreneur. We try to teach our clients how to build a brand, create business cards and budgets, write resumes, and estimate the value of their work. It’s about embracing the whole picture. How important do you think a support system is to their recovery? NB: It’s critical. When I graduated from college, I was not making a lot of money however, I had a community, partner, security nets, and friends. Normal for many of our clients is to see drugs, gangs, and prostitutes on a daily basis. If we can’t recognize the discrepancy of where people start, then we will never come to a resolution. The biggest fallacy in life is to think, everyone started out like us.